Losing a client is something that every company has to face once in a while. In some cases, it might be extremely tough for the owner. If you’re a business owner, it’s easy to blame yourself for this, feel disappointed or even anxious about your company’s future. First thoughts like: “How could they leave me? This isn’t happening!” might rush through your head. When that happens, you might think about making things tough for the leaving customers. But that doesn’t lead anywhere and it’s not going to help you in your business, that’s for sure. So, how to handle this situation right? 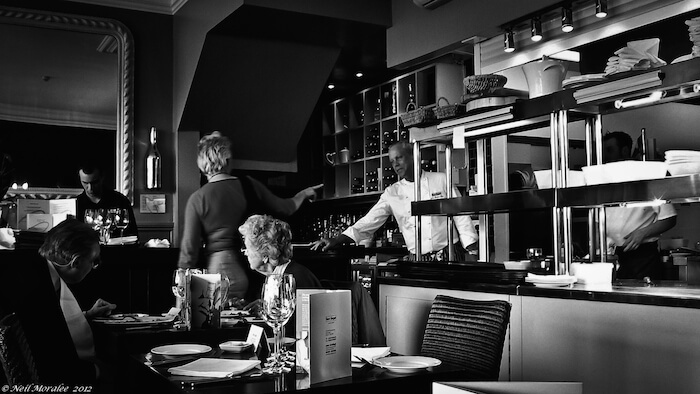 Treat leaving customers with the same respect and the same attention as usual. I wasn’t expecting it, but when I called and they were busy, it was they who returned the call, even though they knew I wanted to cancel my subscription. This was seven years ago, and I still haven’t forgotten. Digital Plus employees knew she wanted to resign the service, but they handled it professionally. Few years after this, a former customer still shares a story about good experience with the company. The point is, you may lose a client for now, but your attitude during the process can affect whether you win a client’s business in the future. Don’t make it hard for customers when they leave. This will earn you their trust. Leave the door open for them to return. Even if they don’t decide to come back, they might spread a good word about your company or involve you in their new business. Your most unhappy customers are your greatest source of learning. Don’t burn bridges. It’s not worth it. To reduce the amount of leaving customers you need to fill the gap between customers expectations and what a company is able to deliver. The best way to do it is through customers’ feedback. Don’t be the horse from the picture! 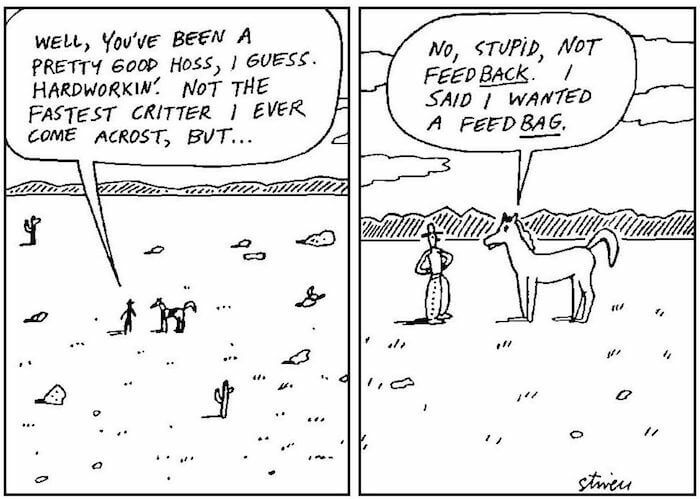 Realize how important feedback is for your company’s future. It’s always good to close the sale and get rewarded, but there is no lesson to be learned from that. How to get feedback from your customers? Forget about surveys that include tons of questions about your service. No one has the time or patience to answer it the way you want it. Yes, if the customers took their time and answered thoroughly and honestly, life would be easier. But it doesn’t work that way. The more questions you ask, the more careless responses you get. Also, think about the amount of time you would have to spend to draw sensible conclusions from all the surveys in order to make some improvements. It’s always better late than never, but it’s also better now than late. You don’t want to risk other customers taking their business to the competition because of the same flaw. What you can do to get a quick and reliable feedback, is to ask one basic question: “How likely are you to recommend our company to a friend or colleague?”, followed by an option to add a short comment. This way you can dispel many doubts about your service. The picture comes from the site Promoter.io. It shows Net Promoter Score – a customer loyalty metric. (We actually use NPS to gather feedback in LiveChat). The way that the system works is very easy. To answer the question, customers choose a number from a zero to ten scale. This shows how much likely they are to recommend your company. Answers from zero to six mean that a customer is very unlikely to recommend you. Even though six might seem like a pretty high rate, you should treat it like a warning signal. Detractors have the highest risk of leaving. Pay closer attention to customers in this group to prevent them from leaving. Now the part where customers can add a short comment to clarify their rate, like “easy to use”, “expensive”, “nice interface” etc. These comments are honest and substantial. You can group them, take time to analyze, draw conclusions. Once you make the appropriate improvements in your business, make sure you notify unhappy customers about it. Sometimes one small change in your product can make a big difference for your customers. It can increase satisfaction and convince them to stay. NPS survey gives you an insight into customers’ loyalty to your company and it helps you to predict their decisions. It also brings the hidden issues out, which helps you to improve your product and increase chances to retain customers. However you can’t get a guarantee for a life-time customer. If you find yourself in a situation when a customer already decided about leaving, let the customer go. Take time to analyze the reasons for which a customer left you to minimize the risk of other clients’ leaving and maximize the good experience your company provides. Treat each lost client as a warning sign. It doesn’t always have to mean something, but it often does. The key is to understand that losing a client is not a failure. It’s an opportunity to grow. The only failure would be not to not see it. Photo courtesy of Neil Moralee and Carl Horton via Creative Commons.